NEW YORK—The City Council is considering a set of bills that would mandate the city to track youth who leave the foster care system. Although the number of young people in the city’s foster care system is at a historic low of 11,554 as of March this year, those who leave the system face a range of difficulties, particularly in finding housing. Some 231 youths who left the foster care system in 2011 were in homeless shelters in three years, according to a report released this January by the Federation of Protestant Welfare Agencies. Each year, some 800 young people reach are discharged from foster care, according to the Administration for Children’s Services (ACS). Those who reach the age of 18 can choose to leave the system, while those who reach 21 are discharged due to age. Last year, 450 people left the system because they turned 21, compared to 165 people who did so of their own free will at the age of 18. 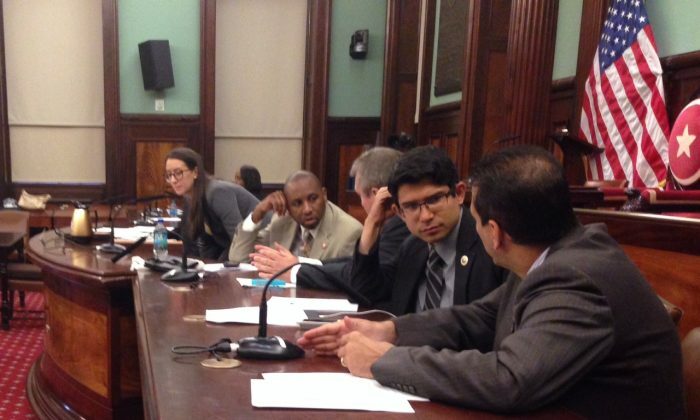 The City Council is proposing three bills which would mandate the Administration for Children’s services to track the services which the youth have applied for and receive, as well as whether they are enrolled in a GED program or college. ACS will also have to compile the high school graduation rate for former foster youth as well as whether they have obtained a government issued ID. “The best way for us to evaluate your success is through data,” Public Advocate Letitia James told officials from ACS at a Council hearing on Monday. Benita Miller, the deputy commissioner at ACS, said that the agency has “some legal, technical, and philosophical questions about some of the specific data requests.” When James asked what the questions were, Miller said that she was not yet in position to answer. “I want to be very clear that ACS is committed to both improved outcomes and transparency in our process of improving them,” Miller said.